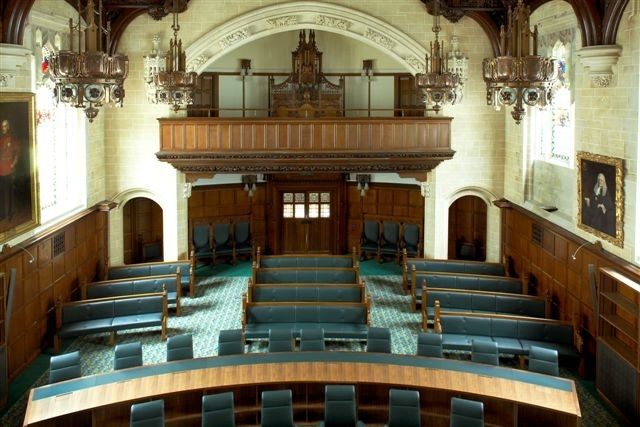 As part of the £36m building programme to develop a UK Supreme Court at Middlesex Guildhall, we refurbished and updated around 150 brass and bronze light fittings for the Ministry of Justice. 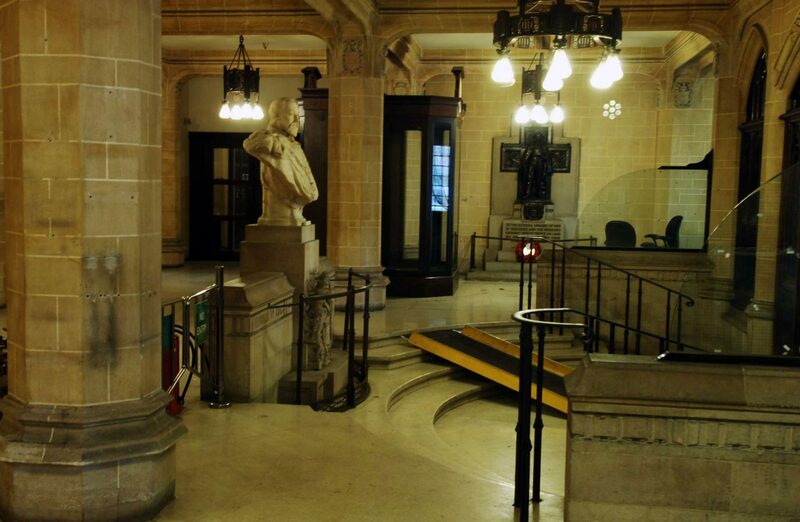 This project was a vital contribution to the Ministry of Justice’s aim to preserve the original fittings of the historic building while bringing the facilities up-to-date. The project was carried out in partnership with principal contractor Kier and mechanical and electrical contractor Halsion. Prior to starting the work, we proposed and mocked up new designs for the fittings’ shades to reduce glare while increasing light output. We then dismantled the light fittings and transported them to our craftsmen at our London factory for painstaking refurbishment and rewiring, before installing them back at the courts and fitting them with low energy Osram lamps. We were chosen for our experience of working in a wide range of historic buildings since we were founded in 1888. This expertise has previously been put to good use at the Guildhall, where we had already replicated some of the buildings’ original fittings in the 1970s.